If you love beer then you owe it to yourself to get to the Bighead ShinDig this August 23rd. 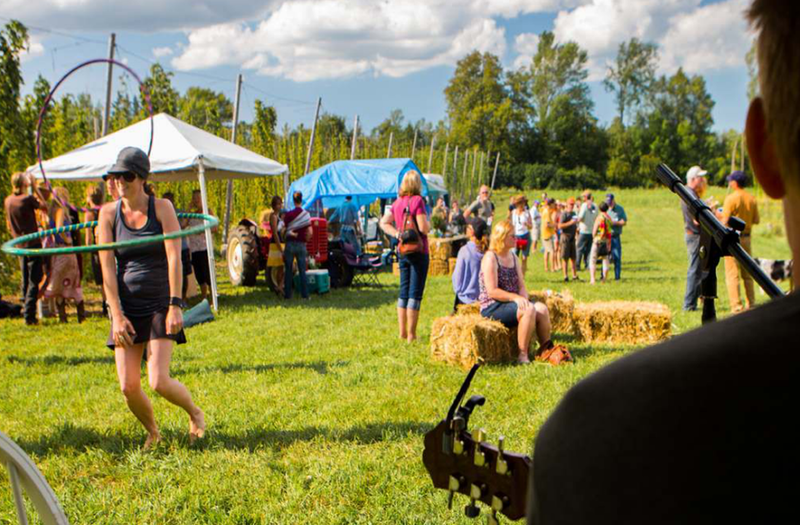 Located on the Bighead Hop Farm just outside Walters Falls, this is a celebration of all things local and all things craft beer. With the hop plants in full bloom the Shindig is one last blast for hop farmer Nicholas Schaut before the real work of harvesting kicks in. “We want to bring together brewers growers and consumers to see from field to glass how beer is made,” he says of the event. Last year’s event was a huge success and this year’s will no doubt be bigger and better. With breweries and brewers themselves in attendance, if you’ve ever wanted to learn anything about beer, this is the place to do it. Junction Craft Brewing, Northwinds Brewhouse, MacLean’s Ales, Kilannan Brewing Company, Sawdust City Brewery, The Collingwood Brewery, Niagara Oast House Brewers, Church Key Brewing and Barnstormer Brewing are all confirmed as we go to print. Confirmed musicians include Murray Smith and Friends, Moonshiner’s Daughter, Drew McIvor and the Vaudevillian. Food will be available from food vendors like Casero and others to complete the celebratory atmosphere. Check the Bighead ShinDig Facebook page for more details.